For those who love Wikipedia, we all know there is only one app for Windows Phone: Rudy Huyn’s Wikipedia app, which is also dominating in the ‘Next App Star’ contest. That app was updated to version 2.0 today with a bunch of new features and additions. The main change is it’s now a full Windows Phone 8 app. Indeed we can’t help but notice that the app is faster now (not that it was ever slow before) but try using the voice search command and see how quickly it pulls up results. In addition, using the Share options users can now opt to use NFC for a tap-to-share experience (as well as the QR code generator or normal social networks). 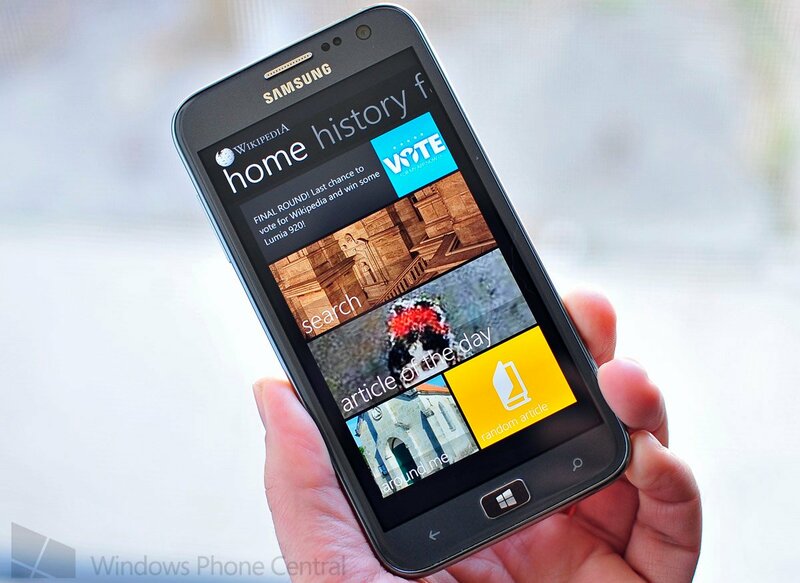 Wikipedia has always been our go to app for Windows Phone and it just keeps getting better. Plus the app is free and ad-free, so what’s not to like? 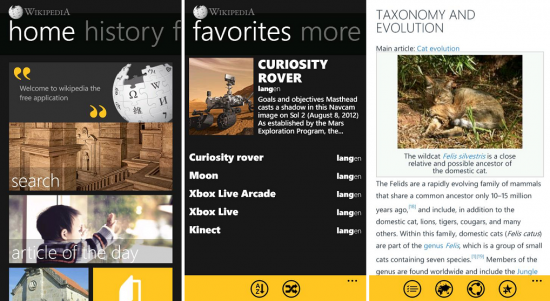 Pick up Wikipedia v2.0 here in the Windows Phone Store. Windows Phone 8 only (version 1.4 is still available for Windows Phone 7.x devices).